“It was my first [pro] team,” Betty Lennox recalled in a recent MSR phone interview. Just the season before, she and Grace Daley became only the second rookie duo ever to combine for the most made three-pointers (72) for the same team. 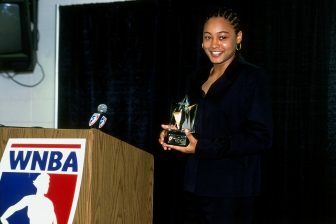 Now 42, she is the women’s basketball coach at Metropolitan Community College-Penn Valley in Kansas City, Missouri.